The statement made by Justice Binta Nyako the judge presiding over the trial of our leader Mazi Nnamdi Kanu, in federal high court Abuja yesterday June 26, 2018, stating “I did not order Senator Abaribe's arrest by SSS, his arrest has nothing to do with Nnamdi Kanu's case” has vindicated the Indigenous people of Biafra, IPOB. From every indication, it is now obvious that the arrest of Senator Enyinnaya Abaribe by the DSS was in no way connected to his standing as a surety for IPOB leader, Mazi Nnamdi Kanu as earlier reported by some arm-chair journalists. This is a confirmation of the press statement by the media and publicity secretary of IPOB, Mr Emma Powerful which was released on June 25, 2018, the statement read in parts; “The only plausible reason Senator Abaribe was arrested is because of his public exposure of 30 billion Naira budget fraud perpetrated by the APC government and its leadership. “The exposure of that budget fraud remains the indisputable fact that no amount of blackmail with the name of IPOB will ever eradicate. Attempting to link Senator Abaribe to the fanciful concoction of the purportedly proscribed organization, gun running and terrorism is a cheap and tacky attempt, designed to appeal to the base instinct of those opposed to the idea of self-determination as championed by IPOB”. 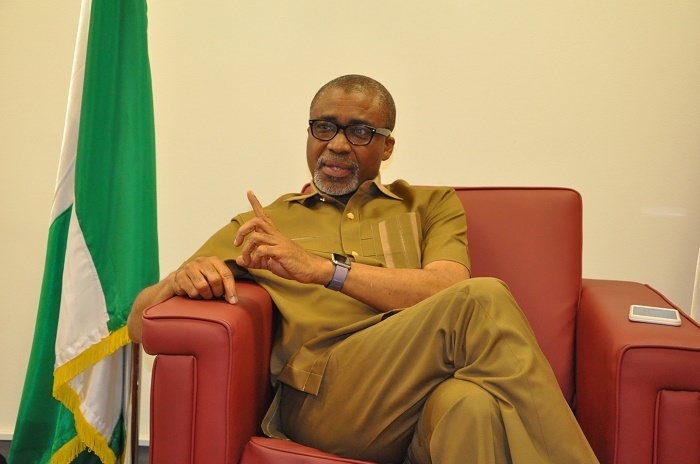 It is also an indisputable fact that distinguished Senator Enyinnaya Abaribe has been the only out-spoken senator from the Southeast, he is known for standing for justice, speaking against injustice and defending the democracy that Nigerian state claim it operates. Senator Abaribe is seen as a threat by the dictatorial government of Muhammadu Buhari, Aso rock cabals and their slaves from the Southeast. Senator Abaribe has long been marked to be politically rubbished, frustrated and destroyed by the APC led government. There is no doubt that his illegal arrest by the DSS is a step towards the move to silence him politically, but without any equivocation, they have failed; no one can silence Sen. Enyinnaya Abaribe, not even the Abuja Cabals. Anyone conversant with Buhari's tyranny system of government does not need to consult an oracle to know who ordered his arrest because it now obvious that his arrest was ordered by the APC led Government because of his public exposure of 30 billion Naira budget fraudulently sneaked into the budget.